The inside diameter of the hoses must be adequate to keep pressure loss to a minimum and avoid damage to the hose arising as a result of heat generation or excessive turbulence. Hoses Outside Diameter can be a critical factor when hoses routing clamps are used or hoses are routed through bulk heads. Both fluid and ambient temperature must be considered while selecting a replacement assembly. The hoses selected must be capable to withstand minimum and maximum temperature of system. While selecting hoses for its maximum temperature, care should be taken that temperature stated is not an intermittent value. Determine where or how the replacement hose or assembly is used. Equipment Type: Most often only a duplicate of the original hose will have to be made. Make sure all the requirements of the applications are fulfilled. While selecting a hose, its application should be considered I.e. Static / Moving / Flexing. Pressure Surges: In hydraulic systems, where pressure surges are severe, increase the safety factor when selecting the proper hoses (safety factor working / burst = 1/5) Conversely, in systems where pressure surges are slight or non-existent, the normal safety factor must be chosen. Environmental Conditions: Care must be taken to ensure that the hoses and fittings are either compatible with or protected from the environment to which they are exposed. Environmental conditions including but not limited to ultraviolet heat, ozone, moisture, water, salt water, chemicals and air pollutants can cause degradation and premature failure and therefore must be considered. Mechanical Load: External forces can significantly reduce hoses life. Mechanical loads which must be considered include excessive flexing, twist, kinking, tensile or side loads, bend radius vibration. 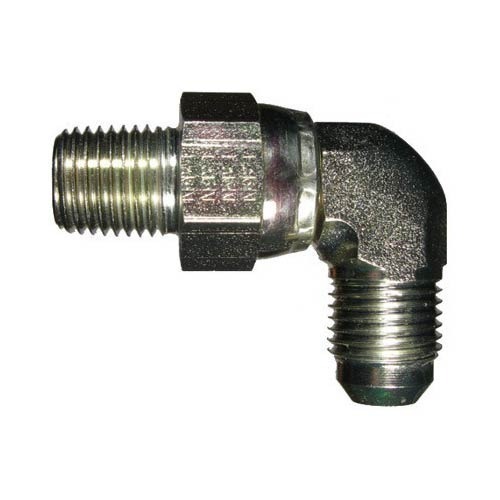 Use of swivel type fittings or adaptors may be required to ensure no twist is put into the hoses. Unusual applications may require special testing prior to hose selection. Hose Construction: Various applications may require different hoses construction. Hoses selection must assure compatibility of the hoses tube, cover, reinforcement and fittings with the fluid use. The system pressure should not exceed the mentioned working pressures. Pressure spikes greater than the mentioned working pressure will shorten hoses life. It is not recommended to use hoses on such applications. Since past several years, Hydraulic & Industrial Engineering industries has found that the usage of tube fittings, tube clamps, flanges, Hoses, Valves, couplings are very essential for Steel Piping Joints for High value Piping Systems, machines, Projects in various Steel Plant Industries, Power plant, Oil & Gas industries, Aeronautical Equipments, Paper Mill Plants, Cement Mixers, Power packs Equipments. After their strong quality recommendation & evaluation from Indian Market , they have found that Ve-Lock brand has better Performance, Quality , Prices & after sales Support. Since Year 2000, Vaishnavi Engineering is into Manufacturing & Exports of Tube fittings, Tube clamps, SAE Flanges, Valves, Test Couplings, Hose fittings & Quick Release Couplings.